See how you can join in the effort! Read on for more information. Thank you! 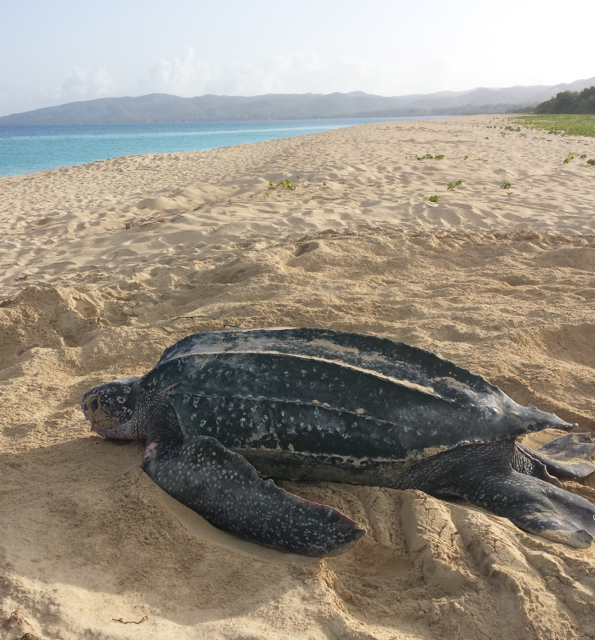 Welcome to the St. Croix Leatherback Project website! Here you will find information about the intensive leatherback research, monitoring and conservation that has been going on since 1977 at Sandy Point National Wildlife Refuge. The St. Croix Leatherback Project is partially funded by the Sea Turtle Census Initiative – we help study and protect the turtles in collaboration with the US Fish and Wildlife Service in St. Croix. We also provide extensive support for students and volunteers assisting with these projects. Other projects of the Sea Turtle Census include studies in Pacific Mexico, US mainland beaches and the Wider Caribbean. We are excited to share with you our discoveries and progress for these programs! The Sea Turtle Census Initiative is a sponsored project of The Ocean Foundation, a 501(c)(3) organization.